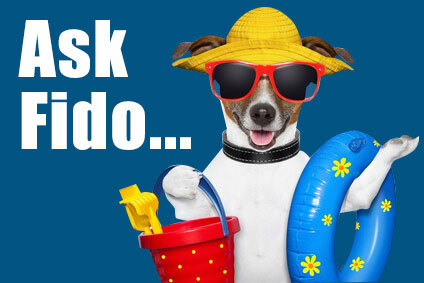 Home Dog Care 101 At Home & Play What is SuperZoo? If you want a preview of what kind of dog food, treats, toys, equipment, grooming supplies or supplements will be on the shelves of your local pet or groomer’s store, you’ll find it at the annual SuperZoo convention. 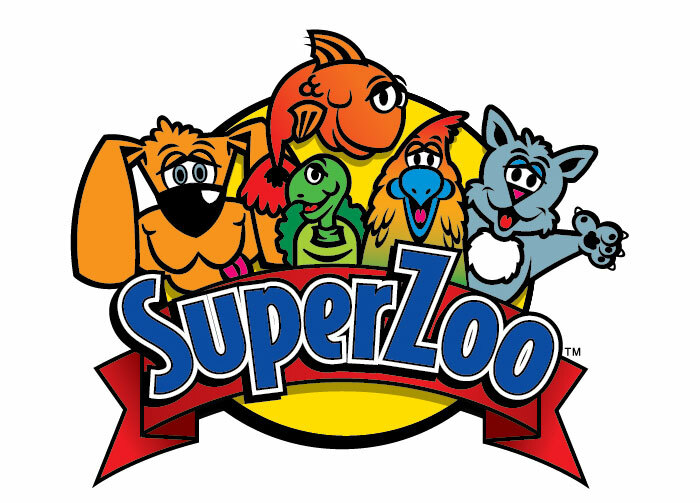 Sponsored by the World Pet Association, SuperZoo is part trade show, part marketing boot camp and part continuing professional education in retail operations, merchandising and grooming techniques and standards. The excitement was palpable as convention attendees lined up outside the exhibit halls waiting for the doors to open. When they did, the people who stock your neighborhood pet store or grooming, trainer or vet office or vet rushed into five-acres of showroom filled with 2,158 booths kitted out by 964 exhibiting companies. Everything about SuperZoo is super-sized and that’s not just Las Vegas hype. Kurgo had a vintage AirStream motor home complete with barbecue grill (with Christmas tree light “coals”), lawn chairs and dog mannequins wearing Kurgo harnesses and packs. Bowser Pet Products displayed white porcelain bowls in wooden stands with such Zen beauty, you wanted to order a dozen for your next dinner party. It’s not all leisure and beauty at SuperZoo. The demands of reality are addressed as well. In the new products section, Steve Kaulman demonstrated his Scoopette “for life’s untouchable moments.” Pulling a folding plastic claw out of his pocket, sticking it into a poop bag, he demonstrated the tool’s ability to scoop poop without contact from a human hand using a life-like pile of rubber poop. Blocks of booths away was FlushPuppies and CleanPaws. FlushPuppies are compostable and flushable poop bags that are certified by the Biodegradable Products Institute and meet even California’s high standards. No more stinking garbage cans; no more filling up landfills with plastic enclosed poop. CleanPaws are an earth-wise approach to the necessity of poop bags. While they aren’t flushable, they are made from recycled plastic. But as every dog owner knows, accidents happen. For that, the folks at the Unique Natural Products booth have a solution: their Pet Odor & Stain Eliminator uses bacteria to consume organic materials such as, well, pee and poop. When the material is consumed, the bacteria die. There’s no residue and no dirt-attracting or smelly chemicals left behind. Their product line also includes a carpet cleaner that can be used in carpet-cleaning machines that you rent at the grocery store. And let’s not forget technology. One product so new that it won’t be available for shipping until February 2016 is San Francisco-based Obe Inc.’s ProBowl. The “smart” bowl connects to WiFi and measures the amount of food and water a dog consumes in real time. A related smart phone app lets pet owners manage when and how much to fill the bowl when they are away from home. The device is also great for monitoring food and water consumption by pets with medical conditions. Even better the ceramic bowl is dishwasher- and microwave-safe and comes in three sizes. The prices range from about $94 to $98. The bowl’s smart base can be wiped clean. When your dog’s not eating, there’s Pet Peeps, a camera that allows you to watch Fido from a tablet or smart phone. While we’ve highlighted dog products, SuperZoo is also about cats and pets with scales, gills, feathers and more. We’ll keep sending you updates as the conference continues.